The client must be clear about what they expect the finished product to look like. The contractor then assesses the expectations and figures out how to manage them to the client’s satisfaction knowing which sealer, cement and concrete slab to use. It is possible for a client’s expectations to be a little too imaginative such that they cannot be wholly met. Having a discussion with the client early on can aid in managing expectations and arrive at a satisfactory consensus. Contractors have taken to specializing in specific types of honed concrete. It is, therefore, imperative that you find the right one for your particular needs. In addition, the contractor you choose should be quite adept at crafting good designs. 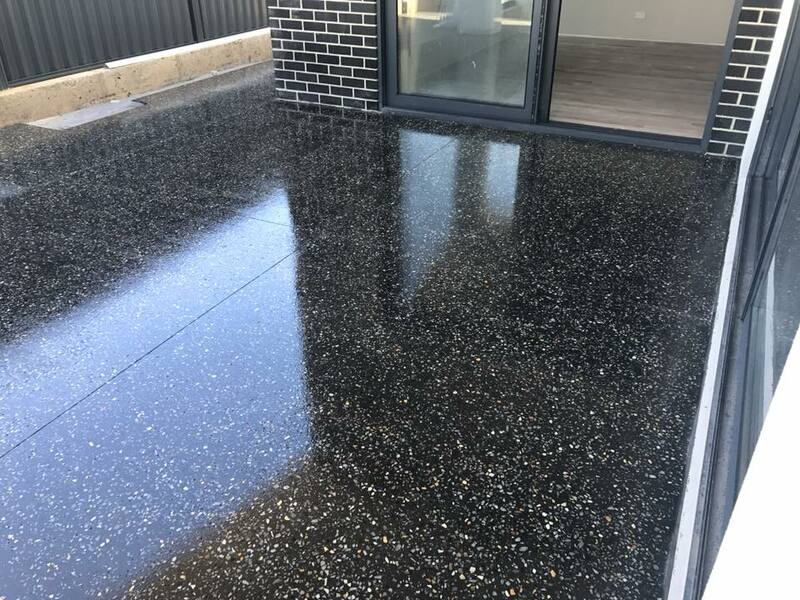 We have over a decade of experience in the industry and have successfully completed numerous projects in Perth including colored concrete, stamped concrete, and various concrete finishes. If there is any other work going on, it may have to be rescheduled. Concrete is very sensitive and damages easily resulting in a crack and may need more coating overlays. Other contractors on the site may spill things such as oil or glue on the concrete. Others may place hard objects such as slabs and wood on it causing cracks and unsightly stains. These incidents can cause tension between decorative contractors and other trades. To avoid this, it is best for concrete decoration to be done when no other contractors are on site. Contrary to common belief, concrete does not get hard and stronger as time goes by. The chemistry of concrete changes as it ages and a substance as harmless as water can interfere with the chemical composition and cause damage. It is, therefore, necessary to include covering material that allows moisture vapour to pass through without letting harmful products to seep through to the concrete. The general contractor is expected to ensure that the finished work is protected. However, the decorative contractor must advise on the best products to provide maximum protection or install them the first time. Whether that involves poured, staining, architectural concrete, acid stain, high gloss and more. Owing to the fact that concrete is quite sensitive, it is important to have the decorating done in the absence of all other construction work on the site. This ensures that the work will be uninterrupted and there will be no tension amongst the different service providers on the site. In need of a free quote? 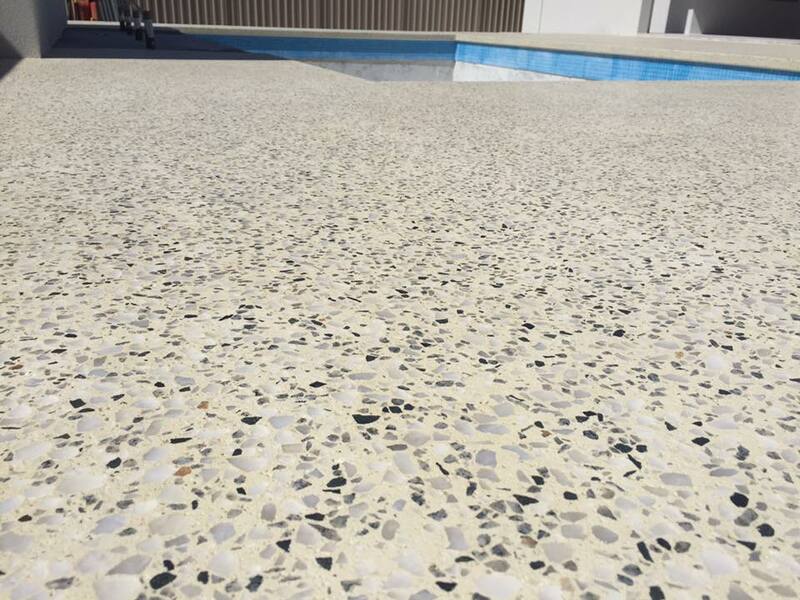 We also offer polished concrete as well as exposed aggregate in Perth. Simply get in touch with us today, your honed concrete Perth experts. Concrete polishing has improved over the years and today there are numerous options to choose from. If you are looking for the ultimate honed concrete service providers, Absolute Scapes are here to help. Whether you need a new concrete patio or polished concrete floors, we can help. We are experienced after being in the industry for many years. Together with our team of qualified staffs, we strive to ensure that our clients receive excellent and satisfactory services. Honed concrete is a concrete flooring solution that comes with a robust aesthetic appeal. While it may appear slippery especially when wet, it features a non-slip finish which means you can adopt it in your house, beneath your patio, or even around your swimming pool. If you have existing stained concrete, you can hone it to create an improved appearance in any of your surfaces both outdoors and indoors. To achieve an appealing look, we grind the concrete surface to your preferred exposure level and proceed to seal in a bid to attain a decorative concrete finish and concrete stain. What Affects the Final Flooring Finish? The hardness and color of the concrete floor which are probably exposed during the grinding process, the concrete floor solution you choose, and the quality of sealing materials you use. Our experts will provide you with the best honed concrete services to meet your needs, and to give your old concrete countertops and garage floor a stylish and sleek finish. Do you have a stained concrete floor that needs resurfacing? We at Absolute Scaping will provide you with the best-honed concrete services to give your concrete overlay an appealing finishing. Honed concrete floors are not only easy to clean and low maintenance, using them guarantees durability. Honed flooring has been in the market for many years and has continued to advance over the years. Should you need a concrete resurfacing job done, we can help with that also. Today, you can use honed flooring options to give your surface a smooth wet look and high luster finish. Honed flooring is environmentally friendly and cheap compared to other flooring options such as marble, tiles, or granite. This is why many people opt for it. If you live within the larger Perth area, contact us and we shall be glad to help you achieve your dream floor. We have collaborated with a team of designers who are passionate and creative. We work with you to transform both your indoor and outdoor spaces according to your preferences. We are responsive and work with haste to help you achieve your flooring expectations within the stipulated time. We strive to give you the ultimate finishes that will enhance the aesthetic value of your home. 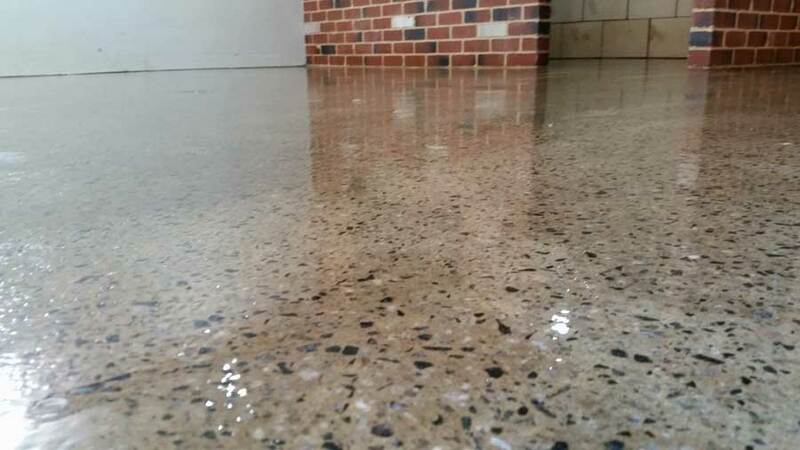 If you are looking for the perfect honed concrete Perth services, we shall provide you with the ideal solutions for your flooring needs. Whether you are looking for indoor or outdoor concrete floors, our staffs are experienced and qualified enough to give you the best services that fit your budget.